icon_vacationagent The Luxury Bahia Principe Samana epitomizes the Dominican Republic’s most compelling qualities. 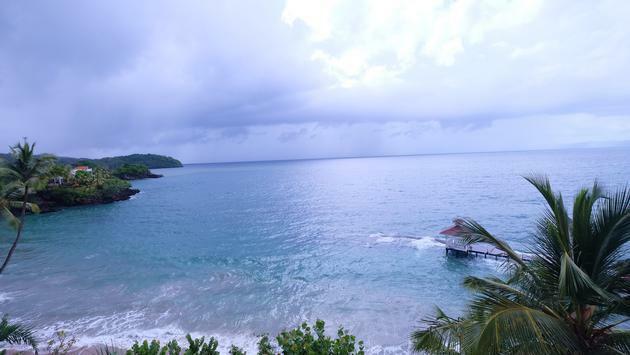 Rooms at the Luxury Bahia Principe Samana offers great views of the Dominican Republic coastline. Perched on a picturesque bluff overlooking the ocean, and set against a backdrop of lush, forest-covered mountains, the Luxury Bahia Principe Samana is the embodiment of the Dominican Republic’s finest qualities. The destination is known for being a place where the ocean is always near and the mountains are never far. And at Luxury Bahia Principe Samana, this ideal couldn’t be truer. The 149-room, all-inclusive resort is located in the heart of Samana, a region far from the hustle and bustle of Punta Cana, where nature and authentic local interactions and experiences are the prime attraction. Just beyond the resort there are jungle waterfalls to explore and Los Haitises National Park, home to protected virgin rainforests and more than 200 species of birds, offering a complete eco-adventure. The park is also the location of numerous caves that showcase Taino petroglyphs and pictographs. At the resort itself, guests will find a comprehensive wellness program, a spa, five restaurants, five bars and sweeping views of the ocean at nearly every turn. Fanciest and Most Common Accommodations: For clients seeking the best accommodations in the house, book a 430-square-foot Junior Suite Superior Sea View. These suites feature sweeping panoramas of the ocean, two full-size or one king-size canopy bed, a living area with sofa and a balcony or terrace. Superior rooms, the most abundant accommodations, are also lovely. Encompassing 302 square feet, they include a king-size canopy bed, a pillow menu, evening turn-down service and satellite television. What’s Included: Rates includes entertainment programs, a mini-bar that’s restocked daily, local taxes and tips, unlimited a la carte dinners in the hotel’s restaurants and 24-hour Wi-Fi. One hour of free boogie boards, organized activities and sports such as volleyball and aerobics are also included, as is the regular daily shuttle to Cayo Levantado public beach. Best Entertainment: The resort offers a variety of entertainment every night. At the Piano Bar, guests can sing their favorite show tunes and classics from around the world. There’s also dancing at the Bachata Disco. Searching for something quieter? Opt for lounging on the property’s terrace under the stars. What’s for Dinner? Though there are four noteworthy restaurants at the resort, it is Don Pablo that easily steals the show. Named in honor of Bahia Principe’s founder, Pablo Pinero, the Don Pablo restaurant is the resort’s stylish gourmet offering featuring handcrafted dishes that are artfully presented and anything but ordinary. Each plate is a unique take on rustic ingredients. For carnivores, Rodizio is a not-to-miss option. The Brazilian restaurant features grilled meat served tableside. Yes, just sit back and allow the delicious flavors to come to you. Guests are fawned over by the staff until you can’t eat another bite. And for those who want to balance out all the meat, there’s an extensive salad bar. Other options include Bella Italia Gourmet Restaurant; Orquidea, the property’s main restaurant, serving an admirable international buffet; and a pool restaurant. Who Books this Resort? The strictly adults-only resort caters to adults seeking a peaceful, intimate escape. Given its remote location in Samana, which is almost two hours from the airport in Santo Domingo, the property also tends to attract more adventurous travelers or those in search of something more off-the-beaten-path and authentic. The Samana region is known for its natural beauty, waterfalls, and wildlife. It is a perfect escape for nature lovers, with the resort serving as an ideal base for exploring all that Samana has to offer. 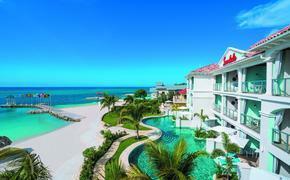 Insider Booking Tip: The resort’s rooms are spread out across several wings. For your clients who like being near all the action, dining facilities and the pool, request rooms closer to the lobby, where most of the amenities are clustered. If your clients want to be close to the beach and in more peaceful surroundings, opt for a room away from the heart of the property. Key Selling Points: Location is definitely one of the resort’s key selling points. It offers an exclusive off-the-beaten-path vacation for experienced travelers. It is perfect for clients seeking a remote location away from tourist hotspots and desiring luxury amenities such as butler service and 24-hour room service, all at an approachable price. Agent Assistance: The Bahia Principe brand offers the Bahia Principe Rewards program, which is designed for travel professionals seeking to stay abreast of the latest news. It offers agents a collection of tools necessary to help clients plan vacations. Recently updated, the rewards program now offers agents a chance to collect more points when participating in online courses (200 points) or securing referrals (150 points). Agents can also now receive double points during specific sales periods such as the Bahia Principe’s Happiness Sale.